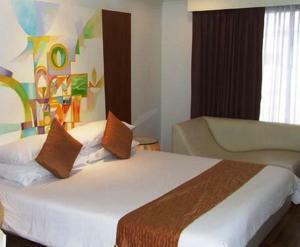 A 2-minute walk from Huay Khwang MRT Station, The Palazzo Hotel offers modern boutique, non-smoking accommodation with a 32-inch flat-screen TV and DVD player. It also has traditional Thai massage. The Palazzo Hotel a 5-minute drive from Thailand Cultural Centre and a 15-minute train ride from Chatuchak Weekend Market. 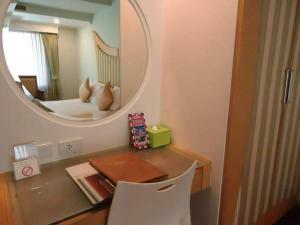 It is within a 20-minute drive from both Suvarnabhumi and Don Muang Airports. 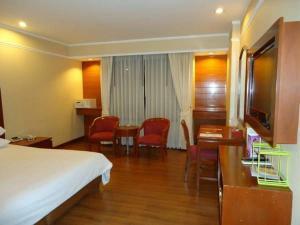 Elegant and contemporary, air-conditioned rooms are fitted with wooden flooring and furnishings. 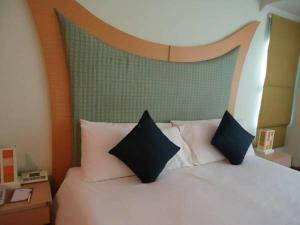 A minibar and tea/coffee making facilities are included. Guests can arrange day trips or limousine services at the tour desk. Luggage storage is available at the 24-hour front desk. 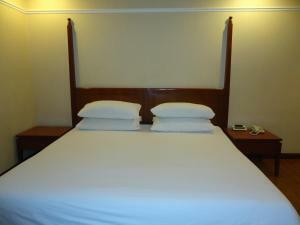 The hotel also provides laundry services and free parking. The 24-hour Lazio Restaurant serves international buffet spreads, as well as nightly live band performances. The Lobby Lounge offers drinks in a casual yet professional setting. 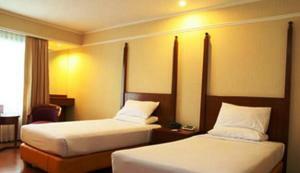 Modern air-conditioned room with a 32-inch flat-screen TV and DVD player. 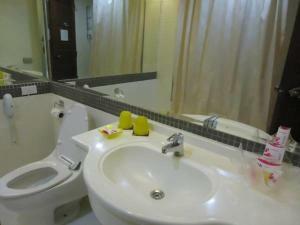 A shower is available in this non-smoking room. 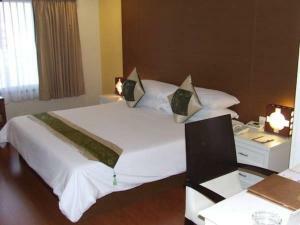 Uniquely designed, spacious studio rooms come with a 32-inch flat-screen TV, DVD player and personal safe. 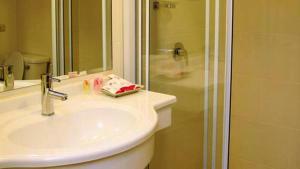 Guests of this non-smoking room can find a shower in the private bathroom. 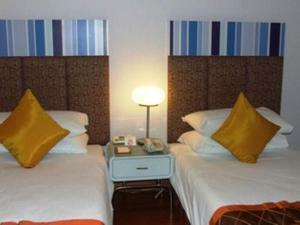 This twin/double room features a seating area, air conditioning and minibar. 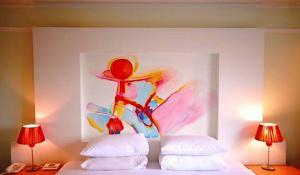 Rate: THB 1400.00 ... THB 1600.00; select dates below to get current rates.